Hey, Good Looking - Audiobook (abridged) | Listen Instantly! New York Times bestselling author Fern Michaels inspires and entertains with a touching tale of the transforming power of love -- and a woman whose broken heart finds room for the simple pleasures of family and home, and for discovering true love in the last place she expected. Darby Lane and Russell Gunn had been inseparable friends from their early years in the Horseshoe, their wonderful Baton Rouge neighborhood, all the way through to graduate school dreams and beyond. Then the unthinkable happens: a tragic accident takes Russ's life, and Darby's world is shattered. Her long journey to healing takes hold as Darby begins to see Russ's brother Ben through new eyes. Suddenly love blooms in the place of grief and Darby faces the challenge of reuniting Ben with his estranged father -- if they can get through the conniving schemes of Ben's social climber stepmother. Like the custom dollhouses Darby creates with tender care and patience, she begins to understand that loss can build new life -- and love truly can conquer anything. Download and start listening now!
" This was a good romance with a little bit of mystery in it. I would recommend it for those who need a quick 'people'-oriented story. It was an easy but satisfying read. " " This is not the first Fern Michaels book I ever read - I had already read two others (One Sisterhood book, as well as Pretty Woman) but this was easily the worst of the three, and apparently from the other reviews, I'm not alone in thinking this. Some of the characters were funny, but there were several unrealistic perks and twists, as well as a very lackluster and sappy ending. Dodo and her son, for example. And I was disappointed that Bella got away with what she did and was able to sneak off. 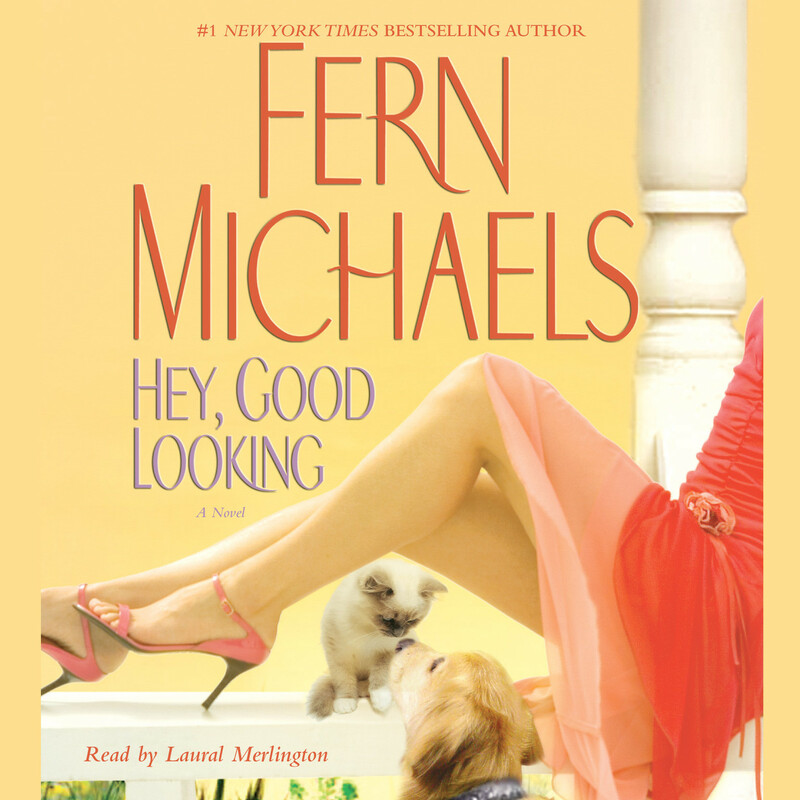 Overall a very, very disappointing book - whether you like Fern Michaels or not. " " Loved this book. Must be read by anyone with sisters-a great book about family ties and love despite differences and problems, plus a love story (or two) thrown in. I loved the three elderly sisters - my kind of people "
" Not a huge fan of Fern Michaels writing styling as it can be a little dry in places, but this book surprised me. It was a pretty good read. However, reading about grown women named Ducky, Diddy, and Dodo was a little much. I really wished she called them their real names instead of those lame nicknames. " " Fern's a gifted story teller. " " It was pretty good. I mean it was predictable but romantic and silly. " " Great book. Mystery and romance. All about friendship, trust, and family. Of course a little sad too. An all around drama! Suspensefull read it in a couple days could not put it down! " " this was an okay book for me. It was a quick summer read, type book. Nothing exciting, in my opionion. " " I have no idea what the title has to do with this book. I guess I missed it. But I think it's supposed to be a love story. More then that, it's about 3 aunts who are hysterical. Didn't care for the very end, but the rest was a hoot. " " Very good read, great story. " " Not a fan of this book. Typical southern personalities and very predictable pairing of characters "
" Good book!!!!!!!! Loved it from the first page. " " Another imaginative book by Fern Michaels. Some of her books are quite good and others move too slowly because she tries to be too detailed. This was a good little story that falls in the pretty good fairy tale vein and is quite amusing. " " This was an easy read, and I think I just skimmed most of it....Ok, story, good not great. Nice way to spend a blustery afternoon! " " This book was okay entertainment. It had some clever, funny parts. I wasn't completely engaged, however, and sometimes I rolled my eyes at the main character. Otherwise, it's a fun read. " " 2.5 stars. Not a bad book, just not very good...characters, premise, love story, etc. " " After reading a heavy book, or a heavy subject matter, I like a light book. That's what this one is. Some intrigue, but a light, easy, fun read. " " Loved this book. I could actually seeing this made into a movie. The 3 elderly sisters reminded me of the Baldwin sisters in Walton's Mountain plus one more. Their Southern Charm was interesting and the book kept me reading. " " read the book, did not listen to CD "
" An easy read as Fern Michaels is known for. And as always, strong female characters taking control of their lives and living how they want with no apologies. " " Wonderful story. I laughed and cried. " " This was an enjoyable light read. " " This book made me laugh. Some of the antics the tree aunts do are quite funny. " " ANOTHER GREAT LOVE STORY BY FERN "
" I enjoy Fern Michaels. " " Good for a quick beach read. " " It was okay. What it lacked was details, I must say. But for a mainstream book, it was fine. Not too splendid and not so bad either. " " Story itself was great. Would have given it 4 stars but the dialogue was lacking. " " THIS BOOK IS SO FUNNY. I GOT SOME REALLY GOOD LAUGHS OUT OF IT.... "
" I listened to an abridged audio version of this story and the editing wasn't the best. I feel that I missed a few scenes. " " Poor writing style, but interesting characters. Too predictable. " " It was ok. Seemed to have "unfinished" business.... not one of her better works. Glad I borrowed it from the Lib. and not something I bought. " " Good book!!!!!!!! Loved it from the first page. Fern Michaels (a.k.a. Mary Ruth Kuczkir) is the USA Today and New York Times bestselling author of romance and thriller novels, including Hey, Good Looking; Pretty Woman; The Nosy Neighbor; The Real Deal; and many others. There are more than seventy million copies of her books in print. Laural Merlington is an audiobook narrator with over two hundred titles to her credit and a winner of multiple Earphones Awards. An Audie Award nominee, she has also directed over one hundred audiobooks. She has performed and directed for thirty years in theaters throughout the country. In addition to her extensive theater and voice-over work, she teaches college in her home state of Michigan.